The US State Department added two operatives from the Islamic Movement of Uzbekistan and another from the Islamic Jihad Union to the list of Specially Designated Global Terrorists. The designation allows the US to freeze their assets and prohibits others from engaging in financial transactions with them. The two Islamic Movement of Uzbekistan (IMU) operatives added to the terrorist list are Yassin Chouka and Mounir Chouka, two brothers from Germany. The Islamic Jihad Union (IJU) operative added to the list is Mevlut Kar. The Chouka brothers and Kar have “links to al Qaeda,” according to the State Dept. press release announcing their designations. The State Dept. 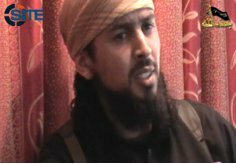 described Mounir, who is also known as Abu Adam, and Yassin, also known as Abu Ibrahim, as “fighters, recruiters, facilitators and propagandists for the Islamic Movement of Uzbekistan,” a terror group in Central Asia that is on the list of designated Foreign Terrorist Organizations. Mounir also said that the IMU was involved in the May 19, 2010 suicide assault on Bagram Air Base. One US soldier was killed in the attack. According to the IMU propaganda tape, the Bagram assault was launched “in coordination and cooperation with other jihadi groups” and the assault team included “Turks, Tajiks, Arabs, Pashtuns, and Afghans.” Bekkay Harrach, a German national who operated along the Afghan-Pakistani border with the IMU, is thought to have been killed while leading the assault on Bagram. Harrach led a team of 20 fighters made up from the ranks of al Qaeda, the Pakistani Taliban, and the Islamic Movement of Uzbekistan, according to a previous statement released by the IMU. The various terrorist groups carry out military operations in Afghanistan and Pakistan under the aegis of the Lashkar al Zil, or the Shadow Army [for more information, see LWJ report, Al Qaeda’s paramilitary ‘Shadow Army’]. One of the brothers was rumored to have been wounded in a US drone strike. In August 2011, the Victorious Sect, a terror group with ties to the IMU, issued a statement that Mounir may have been wounded in a US Predator airstrike along the Afghan-Pakistani border. The report was never confirmed. The State Dept. described Kar as “a facilitator and recruiter for the Islamic Jihad Union,” which is also listed as a Foreign Terrorist Organization. Kar has “provided more than 20 detonators to members of the IJU,” according to State. Kar, who is both a German and Turkish citizen, is also known as Mevlut Zikara, Mulfit Kar Iiyas, Abdullah the Turk, and Abu Obaidah al Turki. He was a member of the IJU cell that attempted to attack US military personnel and civilians in Germany in 2007. The targets of the attack included Ramstein Air Base and Frankfurt International Airport. Three members of the cell were arrested before the plot was executed. In 2003 a Lebanese court convicted Kar in absentia to 15 years in prison “for attempting to establish an al Qaeda cell in Lebanon,” the State Dept. designation notes. “Following 9/11, Zikara allegedly helped members of al Qaeda living in Arab countries to reach Afghanistan via Iran, to fight with Taliban,” according to The Australian. i think you are wrong mike. I guess if you don’t want to have them prosecuted or have any possible assets frozen that they may have or if you don’t want their faces everywhere, you just do nothing. This way, at least these guys are more likely to get killed, have their money taken or have people sit in jails if they support these nuts. They are already all over the jihadi media so this doesn’t really built up their bona fides.